Uneven cooling is a sign of HVAC problems. In this campaign, we re-imagined the home as a weather map with hot and cool regions. 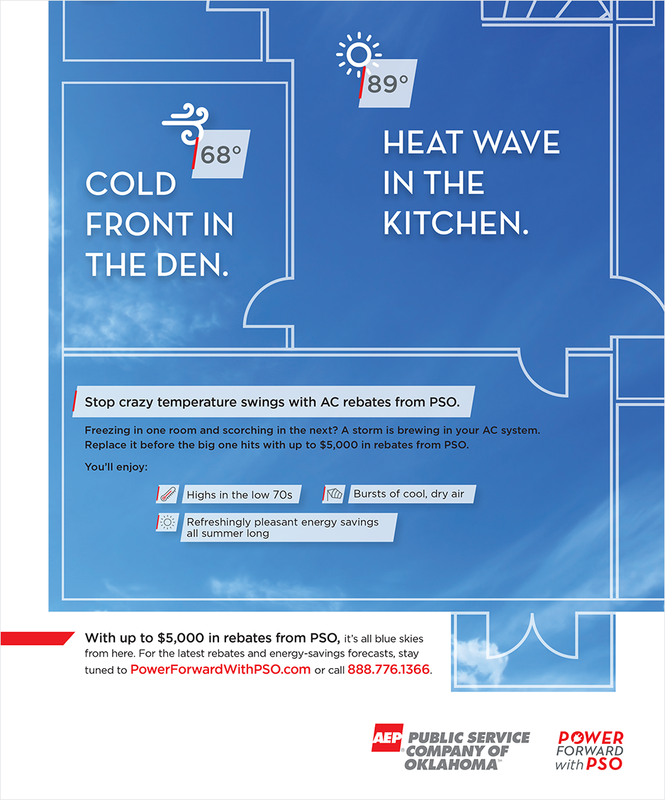 Using the language and iconography of a weather forecast, we illustrated the problem and drove audiences to seek HVAC rebates.